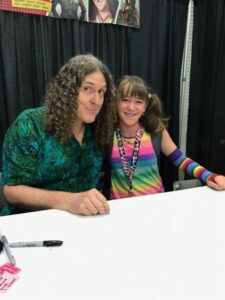 One of our students, Violet, had the honor of meeting the illustrious Weird Al Yankovic! 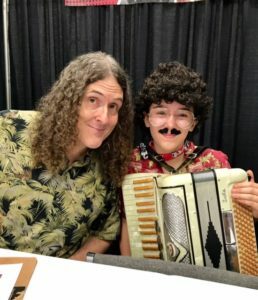 Violet mentioned to us that Weird Al inspired her to learn the accordion. Al told Violet that he learned to play the accordion from the Palmer Hughes books – the very same books that Violet is learning from! We love Violet’s sense of style, and we’re sure Al felt the same way. Violet went to see Weird Al on September 8th at The Convention Center in Portland. 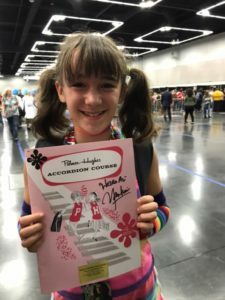 He was also at the Rose City Comic Con on September 9th.